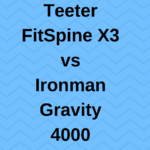 In this post, I would like to take a look at the Teeter Hang Ups 560 inversion table. I will review the features and benefits of this model and who should consider purchasing. There are a lot of inversion tables on the market, so many to choose from. 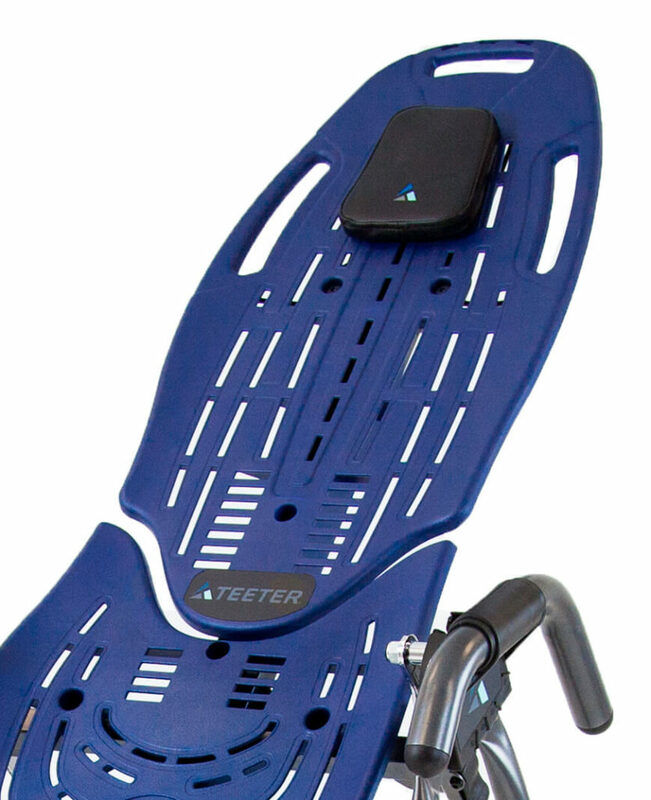 Teeter has been making high-quality inversion tables for about 30 years and they sell a lot of them. Customers have been very happy with the inversion tables as well as other products they offer. That said, I think Teeter is a solid option when it comes to inversion tables. People suffer from back pain for a lot of different reasons. Some people have tight muscles from sitting a lot during the day. With a commute to work, sitting behind a computer screen for hours on end, and then the commute home, we do a lot of sitting. Some folks suffer from other back complications, like structural issues, such as a herniated disc, or spinal stenosis. What I am getting at, is there are a lot of different ailments that affect people and contribute to back problems. 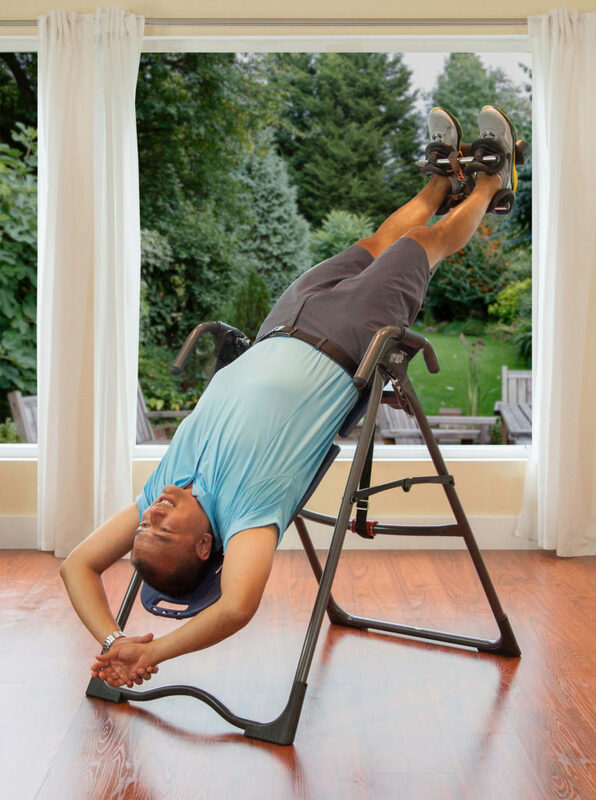 The beauty of an inversion table is that they are designed to help relieve pressure on the spine and help stretch out some of those tight muscles. By relieving the pressure on the discs, they have a chance to rehydrate and rejuvenate. Plus, I just feel a little bit taller when I am done inverting! Before you rush out to buy an inversion table, I recommend you speak to a doctor to make sure you are fit to use one. Some medical conditions can prevent people from using an inversion table. I will incorporate the differences in the features below. One great thing about this table is how customizable it is. There are a lot of different body types, people come in all shapes and sizes. So being able to customize the fit is crucial. Starting with the table itself, the part you actually lay on, is made from a hard plastic material. While this may not sound extremely comfortable to lay on, it has enough give to it, which does make it comfortable. As you can see, the platform has slots. These slots are multi-purpose. First of all, they allow air to flow around your back, so you won’t get sweaty, but they also serve as a place to incorporate the acupressure nodes. The acupressure nodes are there to provide trigger point release. So when you lay on the nodes, you can place them so they hit your muscles in just the right spot. You not only get the stretch when you invert but also trigger point release. On the top of the table platform, you can see some larger cutouts, which serve as grab handles. These handles allow you to grab ahold and stretch out certain areas of your body, depending on how you feel. Maybe your lats or shoulders are tight on the right side, you can grab the handle and get an additional stretch in that area. So the table has been designed with multi-function abilities. Again, it’s a very customizable inversion table. The table comes with a lumbar support which adds another element of decompression to the unit. Again, the slots in the table platform allow you to fit the lumbar support securely under your lower back just where you want it. A small pillow is included for your head to rest on when you are inverted. 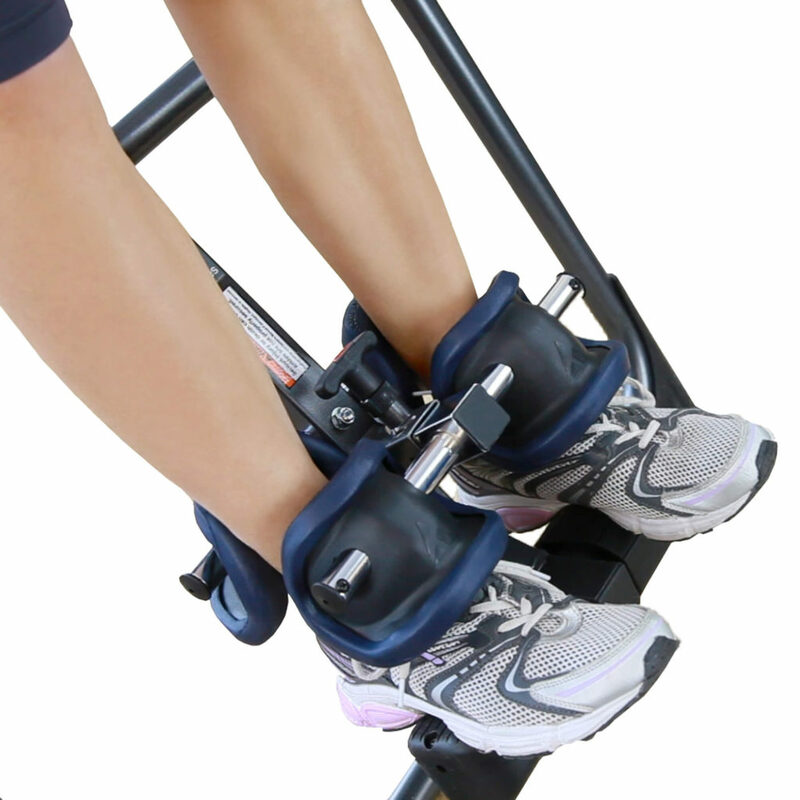 The ankle locking system is contoured and will comfortably secure your ankles in place. You will not feel like you are going to fall on your head when you are locked in. The front and back pads are rounded to give you a comfortable fit around the ankles. Right below the contoured ankle supports is the footbed, where, you guessed it, is where your feet rest. The footbed height is adjustable, so you can raise or lower the height, depending on where you want the ankle supports to fit. This is a nice feature that allows taller, or shorter people the option to adjust the height accordingly. The final piece of the ankle system is the locking mechanism. You pull up on the lever to lock the ankle pads in place. This lever also serves as your escape route when you are finished inverting. Pull up on the lever to release yourself. The only knock I have on this locking mechanism is that it does not have an extended handle like the EP 960. If you have trouble bending over due to back problems, this may be an issue. If not, then it’s probably just fine. The user height needs to be set appropriately for your height, this will allow you to return to the upright position easily with arm movements. There is a locking pin that you pull out, then use the markings on the shaft to set the height. The height adjustments may be a little bit off from your actual height, but it’s really close. If you are 5’11” you may be fine at the 5’11” mark on the shaft, or you may use the 6’0” mark. Again, this will vary slightly depending on the person. The ultimate goal though is to be able to invert and return to the upright position effortlessly. If this is not the case, you will need to adjust the height setting. The handlebars on the side of Teeter EP 560 are a little short, but they should be fine for helping you out of the inverted position. Honestly, if you are fitted right for the unit, you should be able to move your arms and that will raise and lower your body. The EP 560 with Back Pain Relief Kit has longer handlebars, which some people may find useful, especially if you invert completely upside down. This particular table comes with a tether strap angle adjustment. What this allows you to do, is set the table to invert at literally any angle you want. All you do is set the strap to the appropriate length. Some people prefer the push pin style with preset angles, like 15, 30, 45 degrees etc. I admit it is nice to be able to set it and know exactly what angle you are at, it takes the guesswork out. I do like the fact that with the tether, the angles are much more customizable. To be 100% honest with you, based on my experience, these tables are not really very easy to put under a bed. The unit does fold up for storage, but you are better off leaning it up against a wall. If you are using an inversion table to recover from an injury, at 65 pounds, this table is not super easy to move around a lot. I would recommend keeping it in a room where you will use it and store it easily. Just my opinion. I store mine in my office and I can use it and then fold it up and lean it against the wall. Teeter claims you can build this unit in 13 minutes. You can also pay for assembly if you so desire. These units come 85% assembled, so there isn’t much left to do when you get it. But, if you do need help, check out my how-to article for excellent tips. If you suffer from back pain, whether it’s tight muscles or other back problems, an inversion table may be a good option for you. Definitely talk with your doctor to see if you are fit for using an inversion table. I deal with chronic sciatica and I use my table when I feel pain and I also use it a few times per week, just to relax. I think this is a great option for a lot of people. You are getting a solid inversion table from a quality company. This is one of those things you buy and it will last for many, many years. I own a Teeter myself and have been very happy with the product. It’s easy to use and has not failed me. 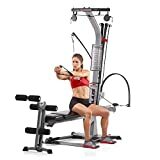 If you are looking for a solid inversion table that will last you a long time, I think this one is definitely worth a shot. As always, if you have any questions or comments, please leave them below and I will get back to you as soon as I can. Thanks for taking time out of your day. HI there. thank you so much for sharing this post. A friend of mine had one of these at her house when I was a child. We used to love playing on it. As I got older at beginning having issues with my back… I remember how fantastic these really are. I have actually been considering getting one recently. I would definitely recommend this to anybody who is reading. Thank you so much for sharing. All the best. Thanks for stopping by, I appreciate it. I can imagine an inversion table would be fun to play on as a kid. My kids are teenagers and they haven’t ever really shown much of an interest in playing on it, thankfully. 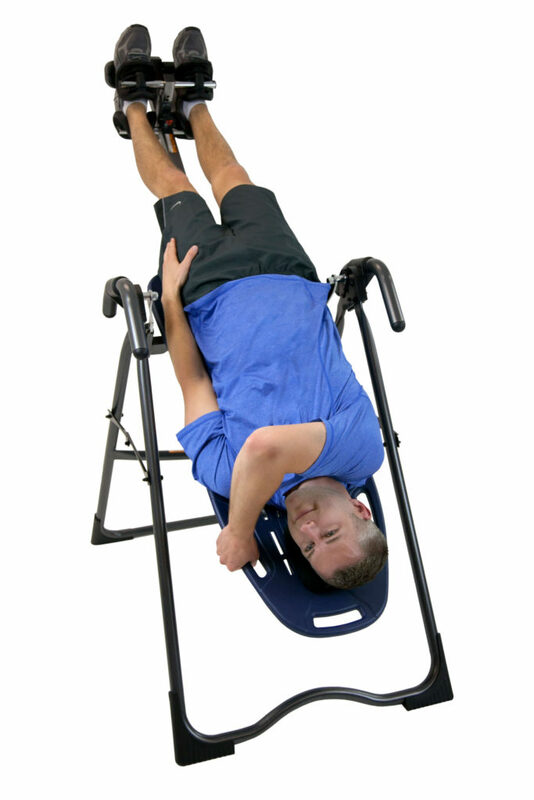 As for back problems, yes, an inversion table can definitely help you out there. Let me know if you have any questions, I would love to help. Sure thing Vicki, I am happy to help. Please let me know if you need any help, or have any questions. After a long day of gardening, an inversion table would be a nice way to relax the back! Hi Nicole, thanks for stopping by. Inversion therapy is definitely one way to get some relief from back pain and give your back a break. I use mine frequently and it is very relaxing for me as well. I wish you and your dad well. Please let me know if you have any questions, I would love to help. Hi Logan, thanks for the comment. I agree with you, these tables are heavy and large. That is why I recommend using and storing it within close proximity. Inversion tables can help with back problems as I can attest. Let me know if you have any questions, I would love to help. Great informative article, looks like it would do a good job at alleviating back pain. I suffer quite a bit sometimes with back pain, as I am sure loads of people do. This product looks well made and makes it easier that is already 85 per cent assembled. Thanks for stopping by Eden. I love the fact that this table is easy to assemble. This is especially helpful when you have back problems. Let me know if you have any questions, I am here to help. I had no idea that such tables existed. I suffered from lower back pain for a while, but now I’m getting better with yoga. But thanks for the review, I will consider buying one if yoga isn’t enough in the future! Thank you Benjamin. I am glad you are able to get some relief with yoga, that is something else I do to help with my back problems. Let me know if you have any questions. I have tried an inversion table before, but only briefly. You say that it could be a good thing for back pain, I have experienced that in the past, which is why I tried the table I did. This article has sparked an interest for me and I think my wife and I might well have to try one again. Back issues really slow me down when I experience them. 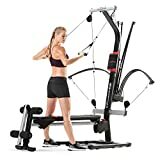 You would recommend this for someone who is very active and does heavy lifting on their job? Thanks for your comment, I appreciate it. I use my inversion table frequently as I sit a lot during the day. Even though I have a sit stand desk, I still sit in the car for about 45 minutes each way on my commute to and from work, plus sitting at work when I get tired of standing. You will definitely want to check with your doctor about using an inversion table in regards to heavy lifting. I know that I feel better when I use my table, but that is not the case for everyone. Great review! I enjoyed reading it remembering when my grandson “adjusted” my hubby’s table and he almost knocked himself out when he inverted! Ahh..the memories! Kids love to play on these things! I’m wondering if a model has been built that will accommodate individuals with knee replacement as the strain on the knees may be intolerable even though hooked to the ankles? Thanks for stopping by. As for the knee question, it’s a good one. I did a little research and found this article which says inverting is not a good idea with a total knee replacement. You will definitely want to talk to your doctor about that. He may be able to use an inversion chair, but again, that is something to ask your doctor about. Thanks for your comment and your question. Thank you for sharing this awesome post.I find it very informative and helpful. I’ve always wondered how inversion Table works. You’ve done an excellent job explaining how it works. This doesn’t seem to have a lot of cons besides it’s a bit more expensive and the storage could be a problem. But I always look at it this way. You get what you pay for. I am sure this is a great quality inversion table. I might get one in the future. Thank you for the post.I enjoyed it. Thank you for stopping by, I appreciate it. I love my inversion table and use it frequently. If you have any questions, please let me know, I am happy to help. Hi, This is a great in-depth description of the Teeter Inversion table. I was doing some research for my wife because she has chronic back pain, and it’s probably cause by what you described here, the daily commute and sitting down all day. This table seems a good answer to her problem, however, I wonder about the inverted position. Did you ever hear of anyone getting dizzy because of the upside down position? I am a hesitant to get one and it only ends up in the corner gathering dust because of this. Hi Denis, thank you for your comment. You do have to be careful if you have certain medical conditions, that is why I recommend talking to your doctor before you start inverting. That said, I have never been dizzy from inverting, but blood does rush to your head, this is my personal experience. As for the table sitting in the corner gathering dust, yes that can happen, just like anything that requires you to use it. My kids used to love covering my table with blankets to make a fort when I was not using it LOL. Thanks again, and let me know if you have any other questions. Very interesting article Steve and not a piece of equipment I’ve really come across before although I can see it’s uses in today’s society, especially with more office based sedentary lifestyles. I suffer from neck pain personally and whilst this article is geared more towards back pain would you recommend this inversion table for people suffering with neck pain also? Also I would be interested to know if there is a recommended time for use considering that you are positioned with your head towards the floor? Hi Paul, thanks for stopping by. I use my inversion table for low back pain, and I would definitely recommend talking to your doctor about neck pain as that is not an area I have dealt with. Typically people will invert for a few minutes and you can do this several times per day. There isn’t a one-size fits all approach to inverting, it will depend on the individual. Starting with a few minutes is a good place to start. This inverse table looks high quality. I’m considering this instead of going to a chiropractor for now, to save costs, and if it works to relieve pain I’d be ecstatic. The pressure nodes look like they’d be uncomfortable though. The only questions I have are: How long is it recommended to stay on the table? And… How often do you use it to see results? Hi Lev, thanks for your comment. The acupressure nodes are removable, so it’s up to you if you want to use them. Some people like the pressure point massage, some don’t. As for the length of time just a few minutes works and you can do this a few times per day if you want. Of course, this depends on each individual, so you just have to feel it out. Thanks again, let me know if you have any more questions. It looks like a good choice for those who need a temporary relieve from back pain. 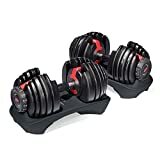 Are these good for long-term relief or just temporary relief from back pain? I have read it’s only useful for temporary relief. Are cushions to place in bed available for sale to make laying down on it more comfortable? Hi Reinaldo, thanks for your comment. There are varying opinions on whether or not inversion therapy will produce long-term results. Personally, I am an advocate, as it makes me feel better after I invert. 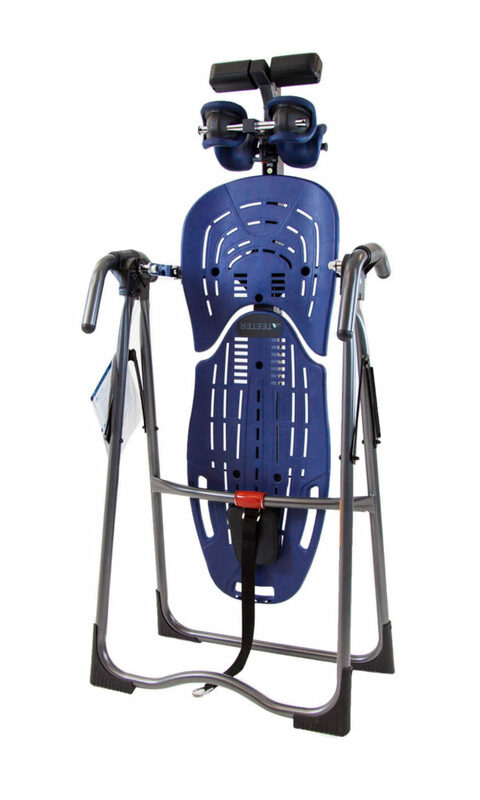 The inversion table allows your spine to elongate, and nourish the disc space. A lot of people, myself included, use an inversion table as part of a treatment program with your doctor or chiropractor. I can tell you that when I was dealing with spinal stenosis a few years ago, once I was a able to lay down flat, and use my inversion table, my recovery definitely sped up. From my experience, I have had good luck and I use my table frequently. Inverting can provide pain relief and allow you to exercise, and ultimately build the muscles that help to protect your spine. As for the padding, the back rest is very comfortable as is. The plastic material allows your body to breathe and it flexes with your movements.